For some families, the most important part of the estate plan won’t involve the eventual transfer of assets through wills or trusts. Instead, the focus will fall on powers of attorney, living wills and health care proxies. Careful planning for periods of disability, legal incapacity or extreme end-of-life medical conditions can spare your family hard and painful decisions. Depend on the dedicated legal team at Giordano, DelCollo, Werb & Gagne, LLC to help you establish a plan in case you are unable to make decisions on your own behalf later in life. If you are found legally incapacitated due to illness or injury, it is best that you have already designated a power of attorney or POA to make financial decisions on your behalf. It is not uncommon for a person to be incapacitated as a result of injury or illness for years before death. This time can be tremendously difficult for family and close friends. If you have not named a POA to oversee your finances, the court may make this decision for you and it may not be according to your wishes or those of certain family members. A person who has power of attorney over your finances may be able to withdraw money from bank accounts, buy or sell property, pay bills and make determinations related to stocks and 401K accounts. Often the individual charged with making decisions on your behalf for healthcare may not be the same person you would trust in making choices on your behalf for your finances. This is why you may make a separate POA for medical decisions. 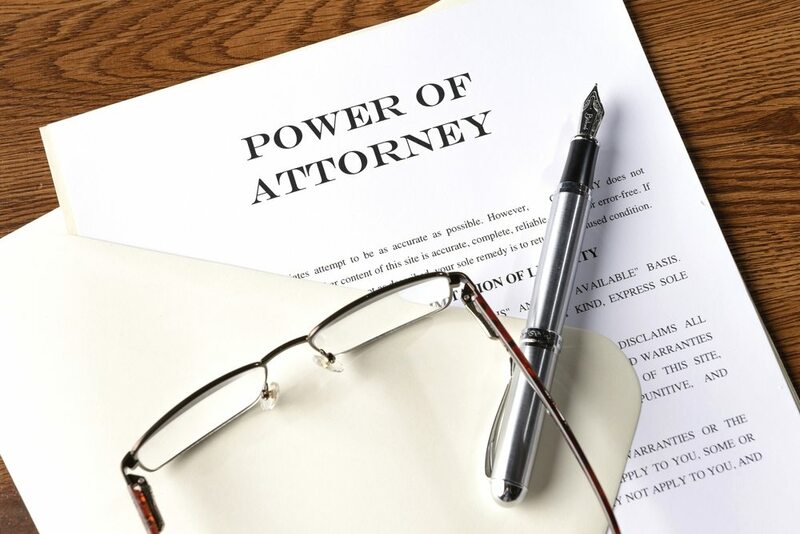 Often referred to as a durable power of attorney, a spouse, for instance, may have power of attorney on behalf of a husband or wife once that husband or wife becomes incapacitated or incompetent. Whether you wish to have your spouse, an adult child or other family member charged with making heath care decisions on your behalf, you should name this person in a power of attorney document so that matters relating to your medical care or end-of-life care are not left up to chance. Making choices now can prevent against choices being made later on by those who should not. Don’t let a court decide who is going to advocate for you should you not be in a position to do so on your own accord. Talk to an estate planning attorney with Giordano, DelCollo, Werb & Gagne, LLC today about setting up powers of attorney just in case you should ever need their use.